Unfortunately, all that glitters is rarely gold and there is no free lunch. 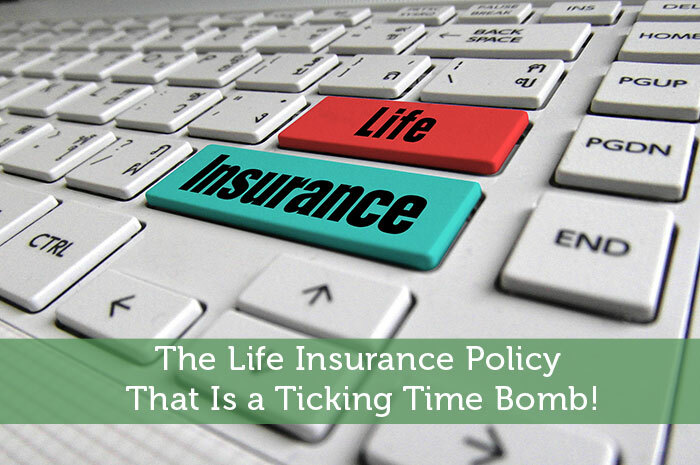 Your IUL policy will almost always be illustrated with unrealistic compounded rates of return. Most people reading this understand that the stock market does not compound over time. The stock market will perform at an “average rate of return” and is a creature of timing much more than investing. Let me explain at its basic level what a true IUL product is and why it will almost always leave you holding the bag. Please understand that this is a completely different animal then a properly designed whole life policy that I wrote about here (link) even though it will sound familiar. When you invest money inside an IUL policy you are setting up a life insurance policy with an annual renewable term cost of insurance. The extra money that is placed into the policy goes into “sub accounts” and those funds will generally follow an index (or indices) in some form when that index increases in value. This basic core structure will cause the cost of insurance to rise every year and become incredibly expensive in your later years. When you actually are more than likely to pass away you won’t be able to afford the insurance and most people let the policy lapse in later years. The guaranteed growth of 3% was only payable at policy cancellation! However, much worse than any of those issues, came as a bomb shell to him when he turned 70 years old. This policy was actually structured with a 20 year guaranteed term policy for the death benefit. When he was 49 he locked in that low pricing but when he turned 70 disaster struck. The retired doctor received his annual premium notice from the insurance carrier and the cost of his insurance was almost $50,000 and not one nickel of that premium was going into any cash value. Surely, something must be wrong you say? The good doctor assumed it was clerical error until he called the carrier and was told that is how those types of policies are built. In the 21st year of the policy the premium almost 100 folded from the first year’s premium and it was only going to get much worse. Do you think term insurance gets cheaper as a man gets to 71 or even 75 years of age? Of course not, it gets exponentially more expensive. This man closed the policy down which means he has no death benefit and even the pitiful gains he did realize were now taxable because he lost the umbrella of the insurance policy tax structure. Welcome to IUL and I can’t wait to see the comments that somehow one of you knows about a “special product” that has a “no lapse” guarantee or some other new, and yet old, wrinkle in these lousy policies. No need to try and convince me because I have seen too many to count and they are dogs with fleas. They are sold to high income earners, such as doctors, as a way to put loads of money away in a tax free environment instead of the limitations of an IRA or 401K. The illustrations are not realistic and fail to speak plain English as to what is really going to happen with these policies. If you have already been sold one of these policies take some time and really look at the illustration you were shown and notice the cost of insurance cannibalizing the cash value in the later years of the policy. Study the cost of insurance which will never be plainly spelled out in dollars and cents (your first clue something is amiss) but rather will be shown in decimal points. Watch how that number grows in the later years. If you have the misfortune of having one of these policies you might still have an option to roll out of this untenable position and into a rock solid no market risk position. It is called a 1035 tax free of exchange and would allow you (assuming you qualify health wise) to exchange your cash value in your IUL policy into a solid new properly designed whole policy with solid guarantees and fixed costs all disclosed up front.